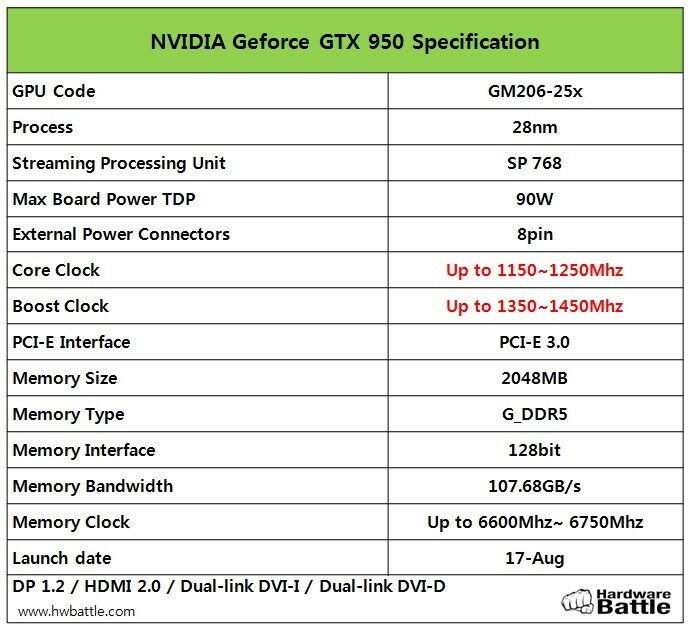 NVIDIA all set to launch its new GeForce GTX 950 next month. The new card will replace old GTX 750 and GTX 750ti. According to HardwareBattle new Maxwell architecture will more power efficient and launch date is August 17th. The retail price is still unknown, but it’s should be under $150. The new GTX 950 will compete with the R7 360 AMD card. This card should be great option If you’re looking for a cheap GPU which can runs games perfectly fine at 1920×1080.